Following the Civil War, African Americans in Huntsville established their own "Union Church" for worship services and community events. Local black leaders Joshua Houston Sr., William Baines, and Strother Green purchased a desirable downtown site for the church in April 1867 from Baptiste Courtade for $50. Shortly thereafter, the community erected a fifty foot by thirty foot frame structure, which provided a meeting place for both Baptist and Methodist congregations. As historians Patricia Prather and Jane Monday have observed, this church "became the first institution in Huntsville owned collectively by ex-slaves and thus subject to their control." The church was a religious house of worship, a community center, and a school building for children and adults alike. Original members of the church included Joshua Houston, Strother Green, William and Mary Baines, John Clark, Harriet Hendricks, Eliza and Solomon Jones, Kizziah Lacy, Jeff Lockhart, Sara Smithers, and others. These individuals helped organize a school at the site, and early teachers included Jacob Cozier, Mollie Flood, Texana Snow, Lizzie Stone, and O.A. Todd. 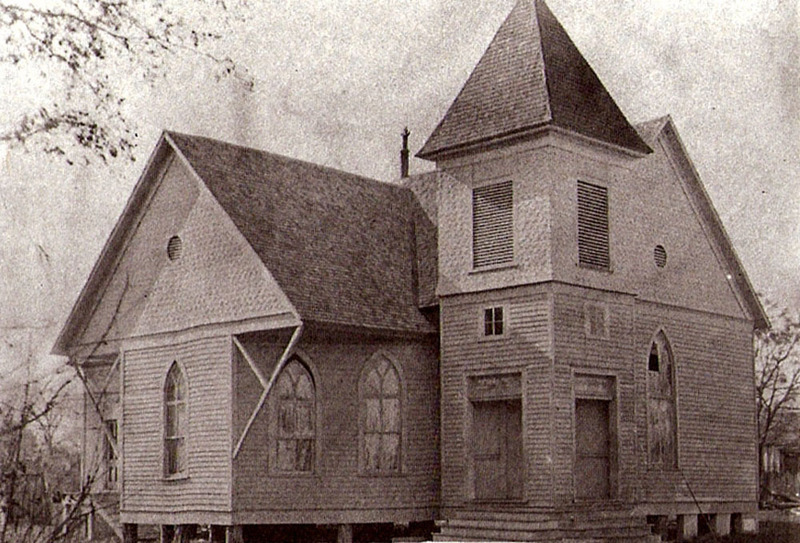 The African American congregations using the Union Church grew quickly, and soon the various denominations represented there decided to build their own places of worship. In January 1869, the decision was made to split into three separate congregations. The Methodist Episcopal members stayed at the original Union Church, but renamed the site St. James Methodist Episcopal Church. 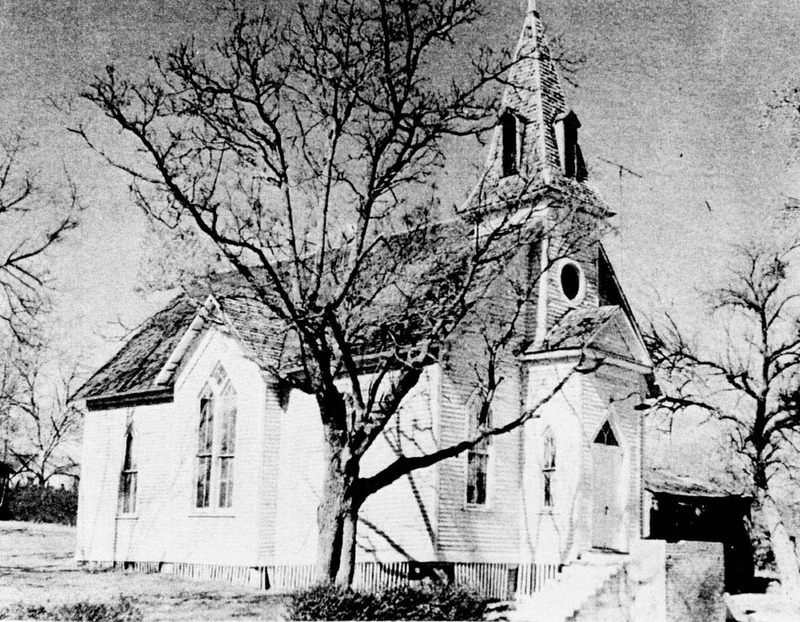 The congregation at this location continued to grow during the remainder of the century, and in 1894 a new wooden sanctuary was constructed to accommodate local members. By the 1930s, a number of other black Methodist churches had developed in Huntsville. 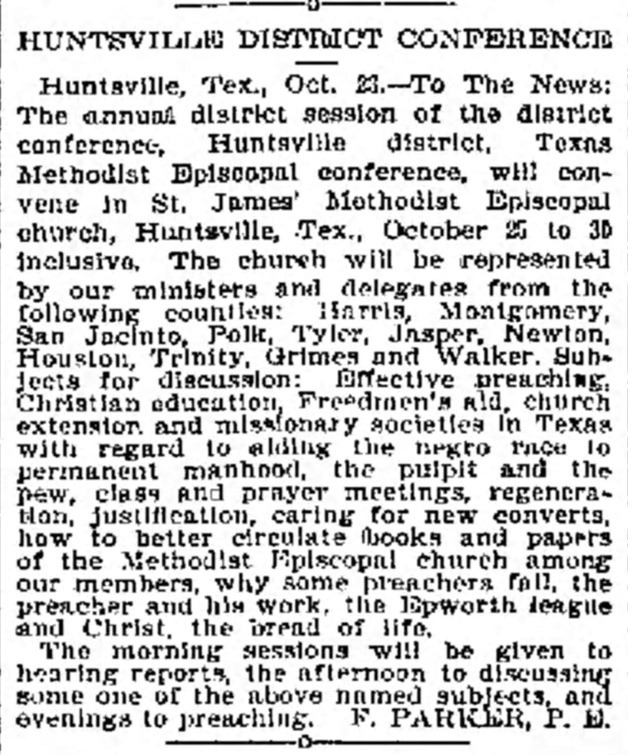 The Great Depression took its toll on these institutions, however, and in 1939 the decision was made to merge the Methodist Protestant, South Methodist Episcopal, and St. James Methodist Episcopal churches into a single denomination simply called Methodist. These change allowed the various groups to work together to support the spiritual needs of the community in new and exciting ways. Later, during Reverend Ezekiel Taylor's pastorate at St. James, the church decided to replace its historic, but deteriorating, structure with a new building. 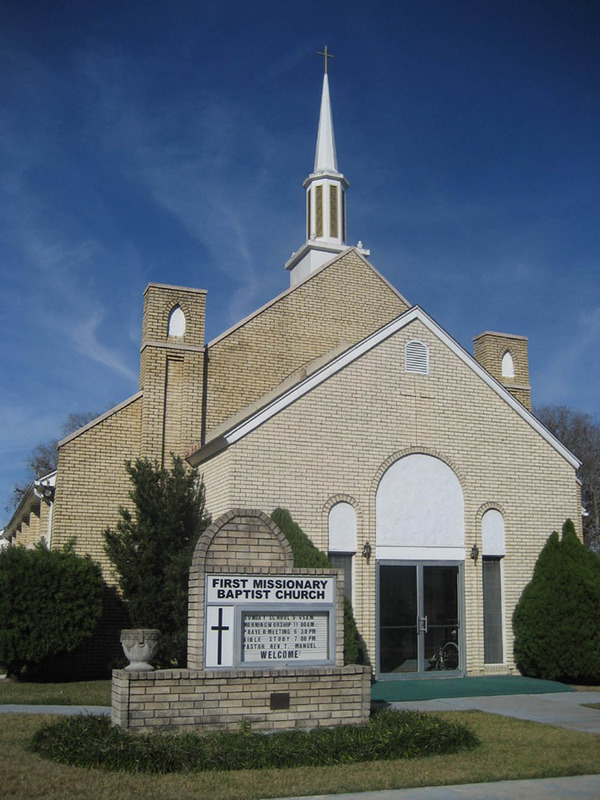 Construction began on the church’s long-time site in September 1961, and the new St. James Methodist Church hosted its first worship service on July 26, 1964 with Reverend E.T. Albudy as pastor. 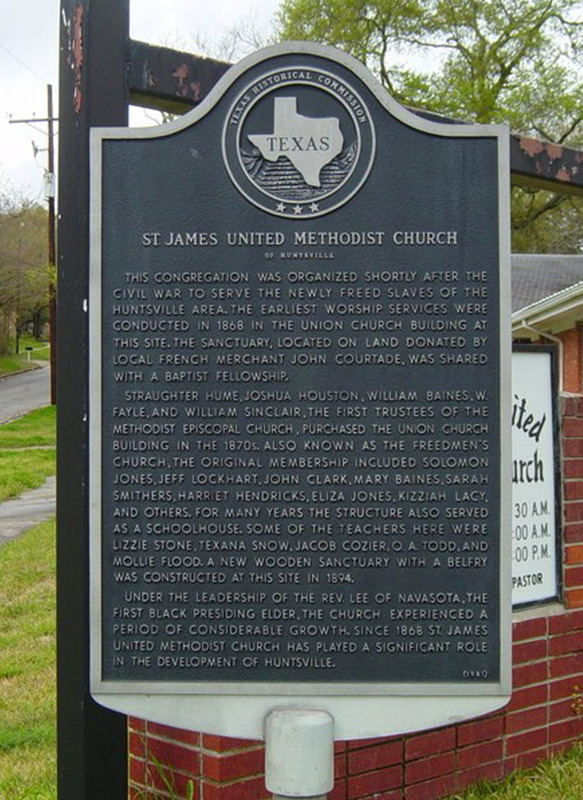 To this day, St. James remains on the location of the original Union Church, and for this reason the official State of Texas Historical Marker for Huntsville’s first African American church is situated there. The marker was unveiled on February 21, 1982 with a host of local dignitaries in attendance. Since that time, however, St. James has curtailed its operations. The congregation has dwindled and the building is currently not in use. Huntsville's First Baptist Church for African Americans: The current site of Huntsville's First Baptist Church for African Americans. ~ Source: Author's collection. 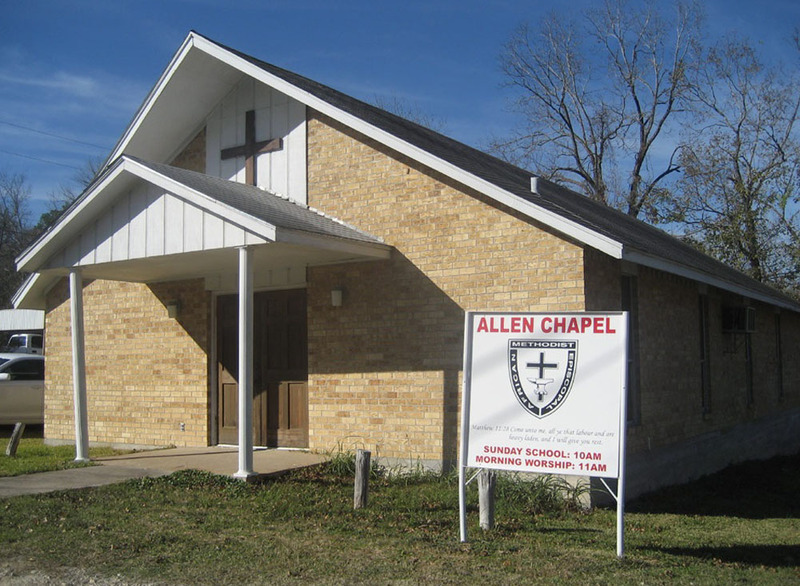 Allen Chapel AME: Other congregants from the Union Church split off in 1869 and founded Allen Chapel AME. This photograph shows the current church. ~ Source: Author's collection. Victoria Bowman, “St. 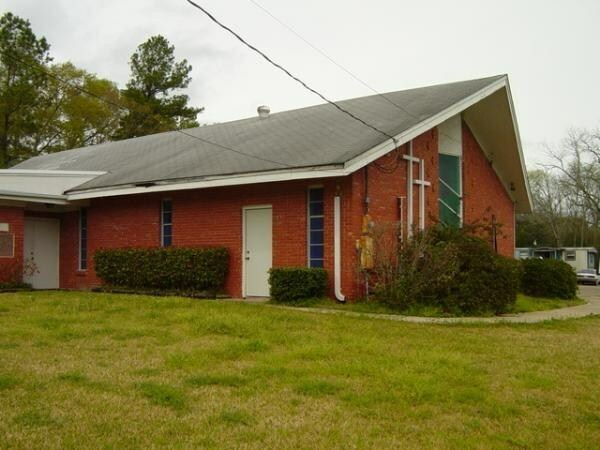 James Methodist Episcopal Church,” East Texas History, accessed April 21, 2019, https://easttexashistory.org/items/show/12. Prather, Patricia Smith, and Jane Clements Monday, "From Slave to Statesman The Legacy of Joshua Houston, Servant to Sam Houston," (Denton, Texas: University of North Texas Press, 1993).